The holidays are the best time to celebrate traditions old and new with the kids. 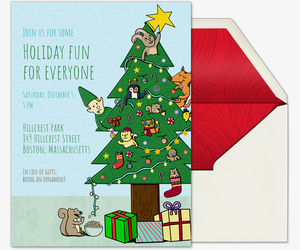 Get inspired by our free and Premium Holiday for Kids invitations, featuring nostalgic and festive wintery designs. With Evite, it’s simple to plan events the kids will love, from cookie decorating parties and game nights to ice skating outings and even a Santa’s workshop. 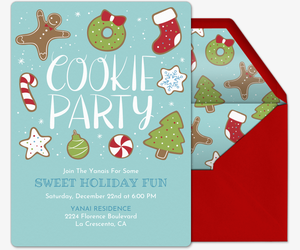 Online invitations help you get the kids together without the headache. Track RSVPs in real-time, manage your guest list, send messages, make event updates, and post comments all from your event page. Plus, collect guest photos the easy way by asking guests to upload those adorable shots of the kids directly to your invitation’s private activity feed… then use them for personalized thank you notes! You can also personalize invitations with your own photos or designs using our upload-your-own and design-your-own templates. Or, if you’re participating in a charitable event with the kids, use Evite Donations to add a nonprofit to your invitation so guests can donate directly. 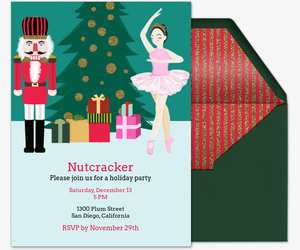 Make your get-together stand out from the rest with Evite Premium invitations. Our Premium designs offer the same look and feel as traditional printed invites, with matching envelopes, custom stamps, and the option to include additional text cards and photos. Pricing is based on the size of your guest list. Give the kids the best holiday memories with creative tips and ideas from Evite Party Ideas (ideas.evite.com). Check out our fun kid-friendly DIYs (candy wreaths for all! ), or our guides to the best holiday activities, from cookie parties and movie nights. 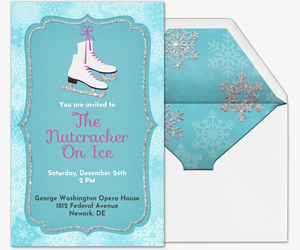 You can also browse our Holiday Party invitations, Christmas invitations, Kwanzaa invitations, New Year’s Eve invitations, and more. Getting festive for a separate occasion? Check out our kids’ birthday party invitations, baby shower invitations, wedding invitations, and more.